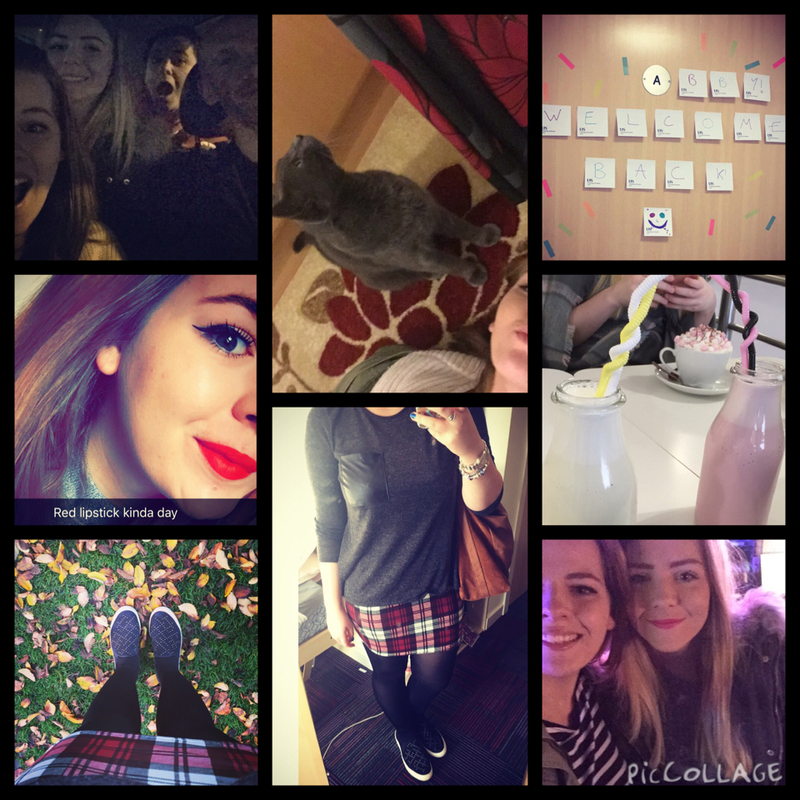 I thought that every Sunday I would do one of these posts, a collage of my Instagrams for the week, as now Im at university, I post a lot more on Instagram, and also it will be nice to look back on! I’ll go from left to right. 1- I came home for the weekend, and so this is a selfie of my family in the queue at drive thru McDonalds… woops! 2. Being re-united with Smokey!! 3. Last weekend my roommate came back after visiting her family for the week, so I put these sticky notes on her door! 5. This is an outfit I wore shopping in the week, and I think its very autumny! 7. my feet and some leaves. much autumn. very original. 8. Me and my sister at a fireworks display this weekend!